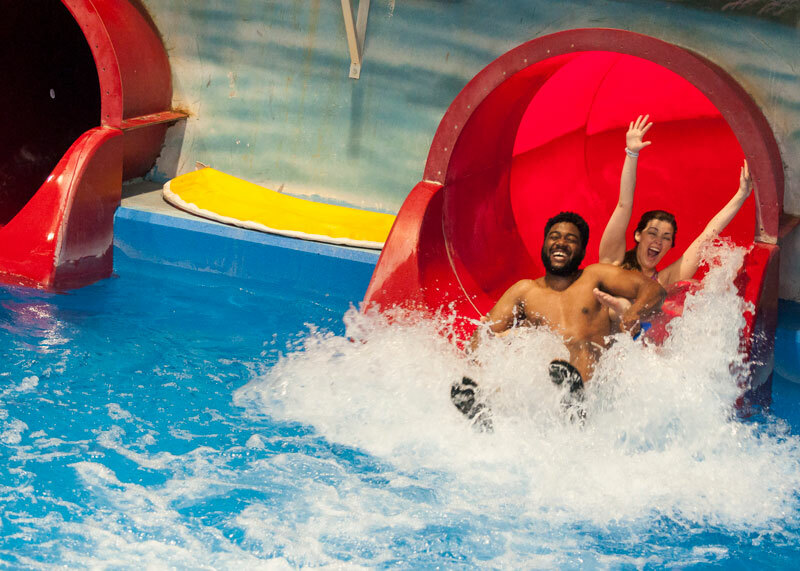 Enjoy a comfortable 86 degrees year round when you ride the waves in our indoor water park. Raptor Reef features a wave pool and a children’s lagoon with a 2-story play structure and tipping bucket. Lean back and relax in our indoor/outdoor Jacuzzi or ride one of our four amazing slides one banking in at over 390 feet. All this is located under our retractable roof that can be opened during the summer to enjoy the warm weather outdoors. "Lost Falls", our longest tube slide is just under 400 feet, is full of twists and turns sure to thrill and excite either single or double tube riders. "Velociraptor Vortex", is what we call our "Superbowl" ride. You start out quickly dropping into a gigantic bowl, where you will swirl and spin until you are flushed into yet another thrilling slide. "Prehistoric Plunge", is a 300-foot high-speed body/mat slide. "Prehistoric Plunge", is a 300-foot high-speed body/mat slide that's! "The Constrictor", is our newest and fastest slide in Raptor Reef. This 350 foot high speed slide is the first of its kind to be installed in the Northwest. The slide gets its name because of its 3 very tight curves; where guests will ride very high on the walls of the slide. 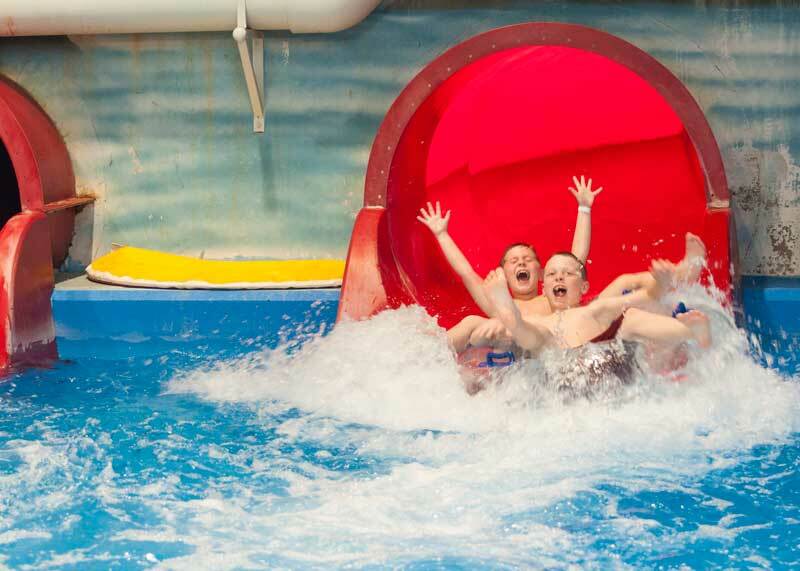 It was also recently highlighted on the Travel Channel as one of the world’s most extreme slides! 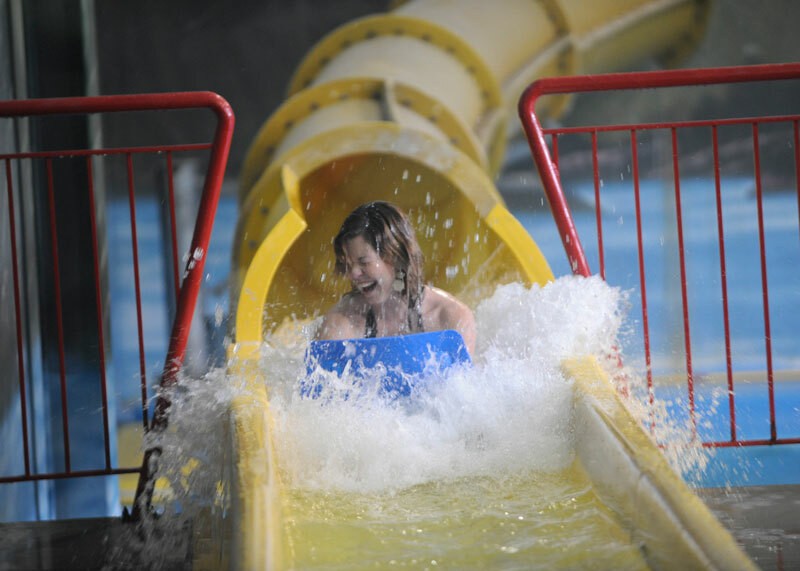 Ride the waves in our exclusive wave pool, the only indoor one in the area! With 6 different wave patterns and up to 3-foot waves, it’s hard not to imagine you're frolicking in a tropical paradise. 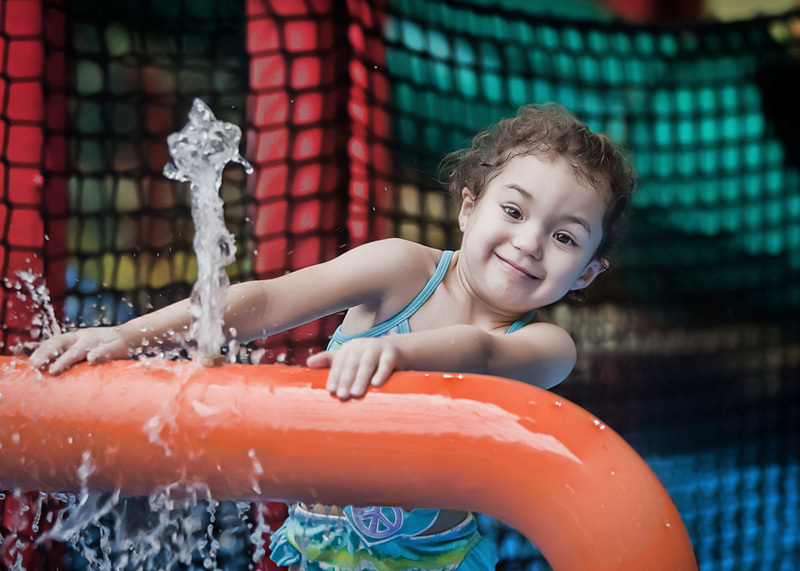 Climb aboard our interactive play structure fit with water cannons, geysers, water toys, two 30-foot slides, and best of all… a 300 gallon dumping bucket! All of this excitement is located in a shallow pool, only 11" at its maximum depth, making it child and parent friendly! 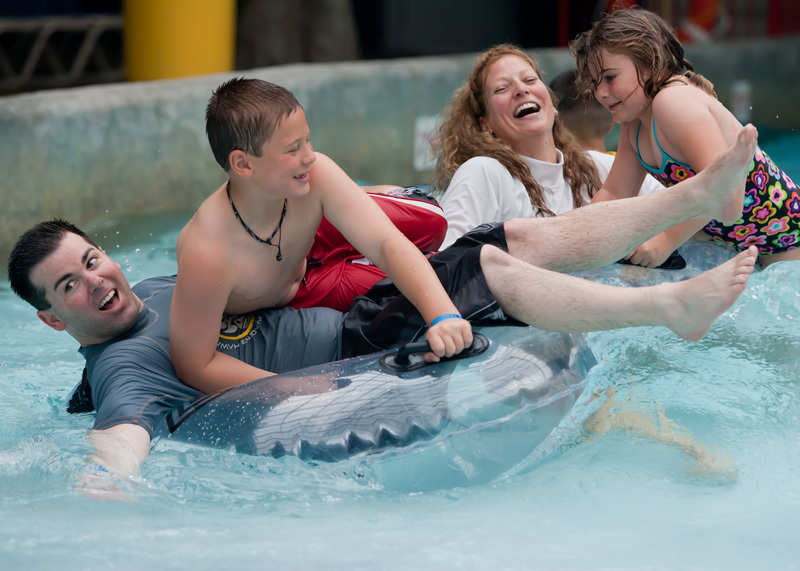 With all of our slides and wave pool located in 86-degree weather, we’re sure you’ll be more then comfortable! However, if you like it hotter, our indoor/outdoor jacuzzi will hold up to 40 people and is a terrific 102 degrees. No Restrictions for guests 48" and taller. Only those 42" and above can ride tube slides with an adult rider or responsible teenager. Those under 42" are restricted to wavepool and water play area only. All children 2 years and under must wear approved swim diapers potty trained or not. Lifeguard to make height determinations. Proper swimwear must be worn. No thongs or immodest swimwear please. Swimwear with exposed metal, rivets, denim, or metal ornamentation is not permitted. Some life jackets are available for your use, or you may bring your own. 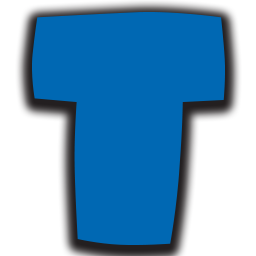 Changing rooms are provided and lockers can be rented. Children under 3 are not permitted in the hot tub. The toddler area is reserved for children 4 years of age and under. Children 3-12 years of age MUST be with an adult in the hot tub. There is a 10 minute limit to all children in the hot tub (for health reasons). No swimming, splashing or jumping in the hot tub. Balloons cannot be brought into the waterpark. 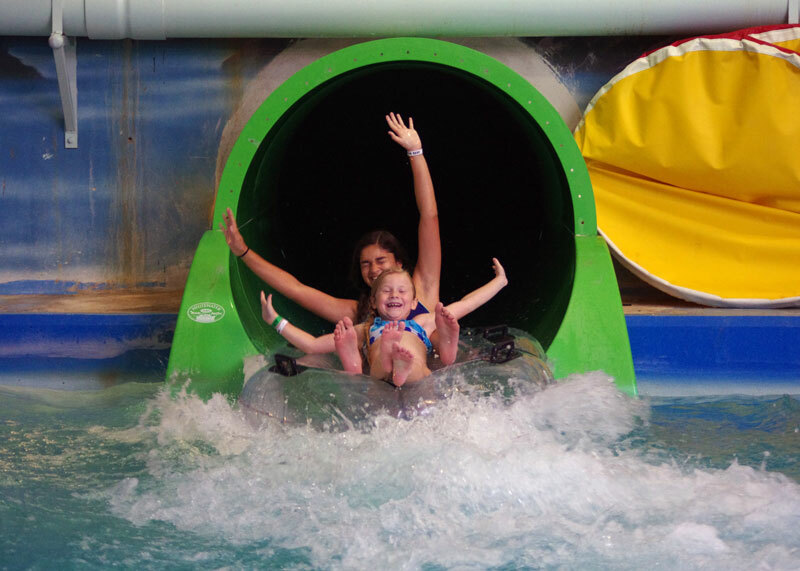 Enjoy your time at Triple Play Family Fun Park and Raptor Reef Indoor Waterpark! To ensure your safety please follow all posted rules and warnings. We reserve the right to refuse admittance to anyone or to dismiss unruly guests. Use this facility at your own risk. Triple Play is not responsible for lost, stolen or damaged property.